The Warren Lodge Hotel, being close to London, M25/M3/M4/M40, Heathrow and Gatwick Airport provides an ideal venue , not only for accommodation but for national and international visitors attending a meeting or conference. The hotel boasts wireless internet access throughout the property. We offer conference rooms for meetings, seminars, training or conferences. Due to the varied sizes of rooms throughout the hotel we can cater for as few as 2 delegates or up to 70 delegates. For meetings of up to 70 delegates the Garden Room and adjoining Conservatory provide the perfect venue. As its name implies the Garden Room opens out onto the Garden Terrace, so delegates not only benefit from all that a modern meeting or conference requires but can also enjoy the beautiful setting. Our Mulberry Suite can host up to 25 Delegates. It also opens out onto the Garden Terrace. Both the Garden Room and the Mulberry Suite have wireless internet access and natural daylight. 'Reduced Day Delegate' rate £30.00 per person: Special offer for meetings booked by 30.09.12: £20 per person. Conference Room Hire, 2 servings of Coffee & Biscuits, Soup & Sandwich Lunch. Day Delegate rate £40.00 per person: Special offer for meetings booked by 30.09.12: £30 per person. Conference Room Hire, Arrival Coffee & Pastries, Mid Morning Coffee & Biscuits, 2 course Buffet Lunch, Afternoon Coffee & Scones with Cream and Preserves. 24 Hour Delegate Rates from £130.00 per person: Special offer for meetings booked by 30.09.12: £115 per person. 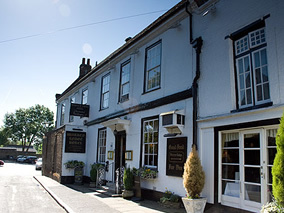 Includes all of the above ‘Day Delegate' items, Bed & Breakfast, 3 course dinner with Coffee.